After Facebook announced on Thursday that it shut down and removed hundreds of pages and accounts that it vaguely accused of spreading "spam" and engaging in "inauthentic behavior," some of the individuals and organizations caught up in the social media behemoth's dragnet disputed accusations that they were violating the platform's rules and raised alarm that Facebook is using its enormous power to silence independent political perspectives that run counter to the corporate media's dominant narratives. While it is reasonable to assume that some of the more than 800 total pages and accounts shut down by Facebook were engaged in overtly fraudulent behavior—such as the use of fake accounts and bots to generate ad revenue—numerous independent media outlets that cover a wide array of issues say they were swept up in the massive purge despite never using such tactics. "Those who demanded Facebook and other Silicon Valley giants censor political content are finding that content that they themselves support and like end up being repressed. That's what has happened to every censorship advocate in history." "Facebook has removed the pages of several police accountability/watchdog/critic groups, including Cop Block, the Free Thought Project, and Police the Police," Washington Post journalist Radley Balko noted in a tweet following Facebook's announcement. "They've also apparently severely restricted activity for the Photography Is Not a Crime page." Activist, comedian, and political commentator Lee Camp argued that Facebook's purge is clear evidence that the "purging of anti-establishment thought is upon us" and described the account shutdowns as "full-frontal suppression of dissent." Speaking to journalist Alex Rubinstein after they found out Facebook shut down their pages—some of which had hundreds of thousands of followers—the founders of Police the Police, the Free Thought Project, and other now-shuttered pages denied Facebook's hazy charge of "fraudulent" activity and accused the company of attempting to suppress dissenting voices that refuse to toe the corporate line. "I can only speculate that these suspensions were a coordinated effort to stifle our message ahead of the coming elections." "Our approach generally is to cover stories and angles that corporate media underreport or misreport and to amplify activist and anti-war voices and stories. All of our content is professionally fact-checked and edited," said Nicholas Bernabe, founder of The Anti-Media, a self-described "anti-establishment" website whose Facebook page was shut down along with hundreds of others on Thursday. "I can only speculate that these suspensions were a coordinated effort to stifle our message ahead of the coming elections." While some of the pages Facebook removed on Thursday were affiliated with right-wing sites that were spreading patently false stories, censorship opponents have long warned of the "slippery slope" of empowering corporate giants to suppress certain kinds of content, given that the suppression almost always expands far beyond the original target. "Those who demanded Facebook and other Silicon Valley giants censor political content—something they didn't actually want to do—are finding that content that they themselves support and like end up being repressed," noted The Intercept's Glenn Greenwald in response to Facebook's announcement. "That's what has happened to every censorship advocate in history." 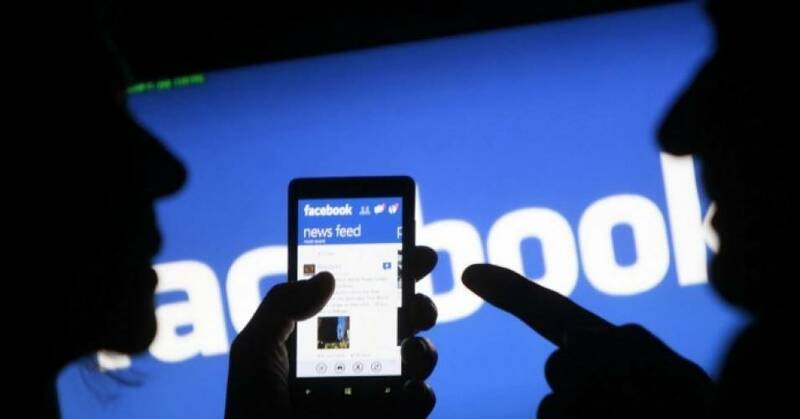 Though Facebook has yet to release a full list of the pages and accounts it removed, several individuals affected by the purge have taken to other social media platforms to denounce the social media giant for squashing pages that took years to develop. Because of people like you, another world is possible. There are many battles to be won, but we will battle them together—all of us. Common Dreams is not your normal news site. We don't survive on clicks. We don't want advertising dollars. We want the world to be a better place. But we can't do it alone. It doesn't work that way. We need you. If you can help today—because every gift of every size matters—please do. Without Your Support We Simply Don't Exist. The Root of the Internet’s Disrepute: Online Advertising! The beginning of a social media war. You know who is behind this. I don't understand how folks are letting him get away with this. I do know it's about power and wealth as proof of the relationship with the Saudis. But everyday the fabric of our democracy is being torn away bit by bit....starting with the right to free speech not! Hate speech. Other social media founders are finding themselves behind the eight ball. Wonder why. But!